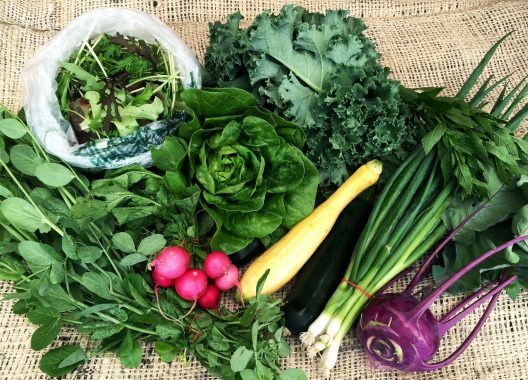 By becoming a member or ‘shareholder,’ you are not simply purchasing food, you are directly investing in the success of our student-run farm program and joining our community! 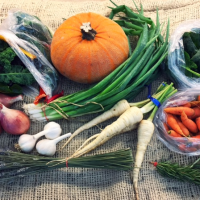 You will receive a portion of our harvest and enjoy some of the freshest local produce right from our campus to your table! Summer, Peak and Fall. Information for each CSA session is listed below in detail. 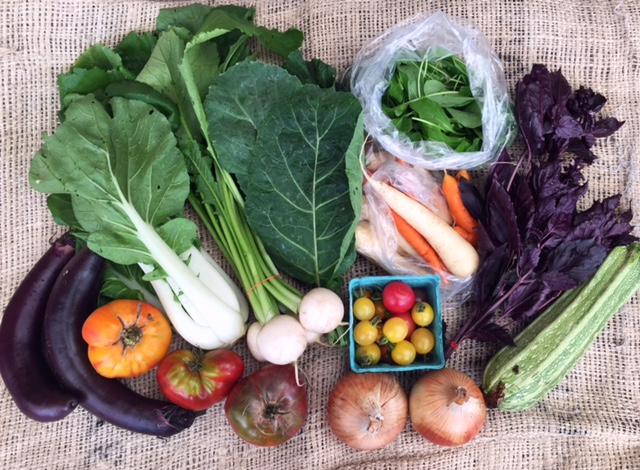 CSA box pick-up Locations and a FAQ sheet are listed at the bottom of this page. 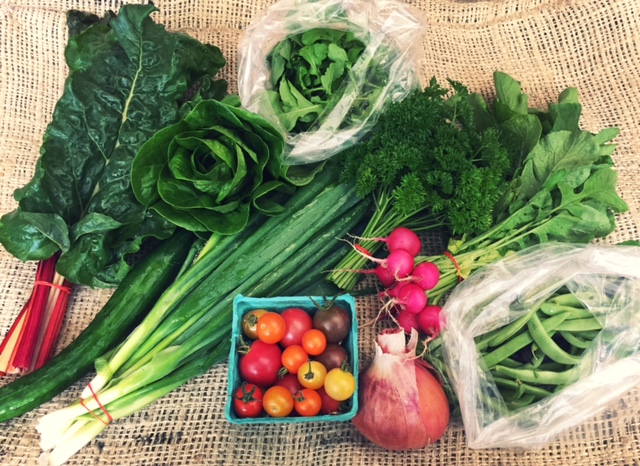 Summer CSA – NOW OPEN for 2019! 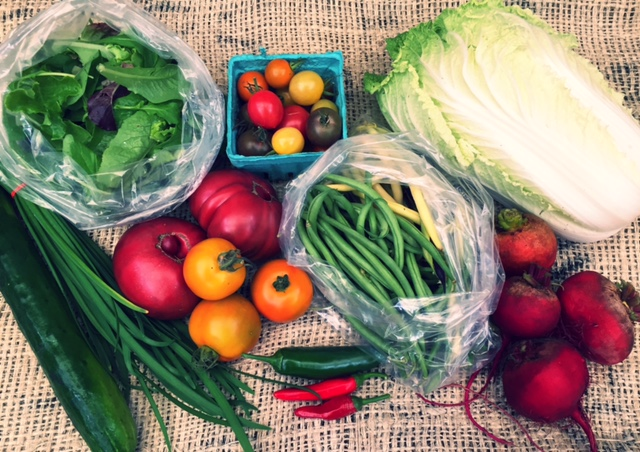 Box Size: One size – will feed a family of four or two heavy veggie eaters. 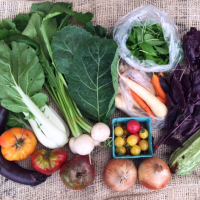 Box contents vary week to week, but each box contains an average of 8-12 different items based on what is fresh. When: Pick-ups begin the second week of June and will continue every weds through the third week of September. 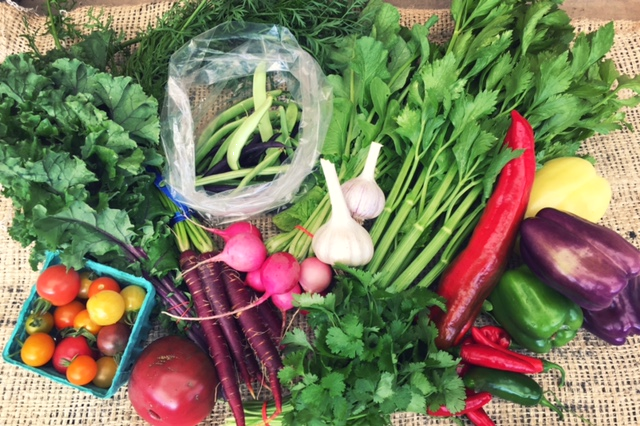 Where: You can pick up your box on our farm at CUH or at the UW Club on main campus, your choice! Scroll down the page for details on locations and other common questions and answers. 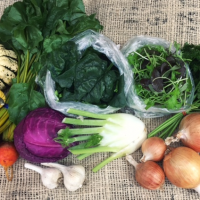 Some of the veggies you may find in your box: basil, beets, bok choi, carrots, celeriac, celery, chard, cherry tomatoes, chicory/radicchio, cilantro, collard greens, cucumber, dill, eggplant, fava beans, fennel, garlic, green beans, heirloom tomatoes, hot peppers, kale, kohlrabi, leek, lettuce, melon, napa cabbage, onion, oregano, parsley, parsley root, parsnips, peas, potatoes, radicchio, radish, rosemary, sage, salad mix, salad turnips, scallions, shallots, spinach, summer squash, sweet peppers, thyme, tomatillo, winter squash. 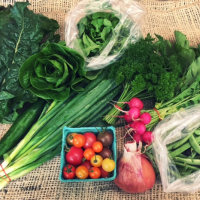 By becoming a member you are not simply purchasing food, you are directly investing in the success of our student-run farm program and joining our community! 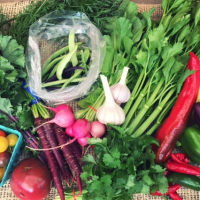 You will receive a portion of our harvest and enjoy some of the freshest local produce right from our campus to your table! PLEASE NOTE: You will not be added to our official membership or packing list until we have received a signed form and check. Membership slots are finalized on a first-come first-serve basis. 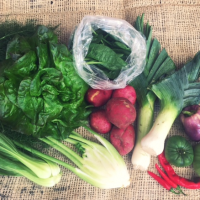 Sign up for this year’s Peak Season CSA! 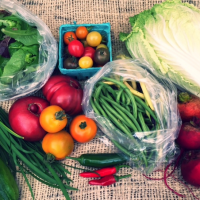 For a flat fee of $200, you can get our CSA box at the most bountiful time of year with produce like fresh basil, sweet tomatoes and even spicy peppers. 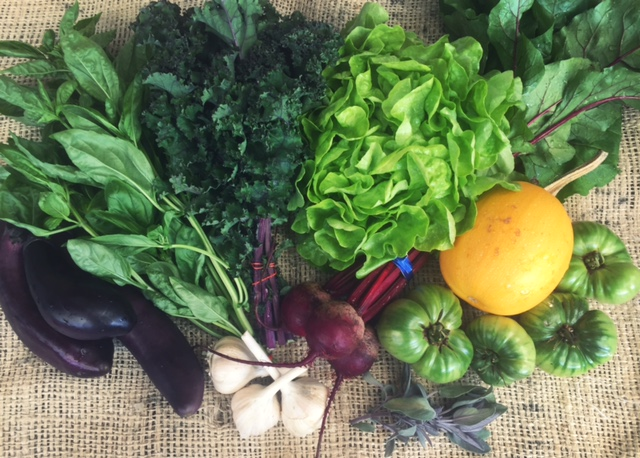 This is a delicious time to sample some of the season’s most flavorful produce. Sign up here. Guess what? 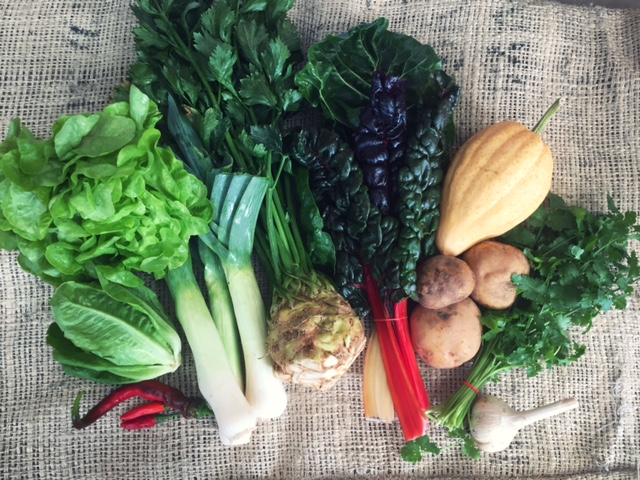 We will be including seasonal bouquets on a regular basis as part of the 2019 CSA! In addition we have added cut flowers to the weekly Fresh Sheet sent out weekly to campus Housing and Food Services! 2. 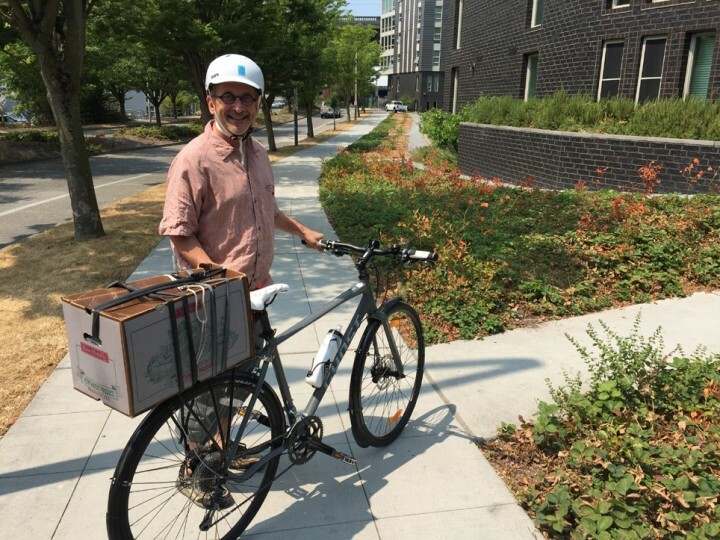 Print out the completed Agreement form, sign the first page and mail it in with your check to the Center for Urban Horticulture, attention, UW Farm. 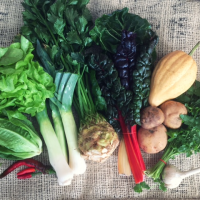 DEADLINE for purchasing a Fall CSA Share is September 21st. ALL checks and envelopes must be post-marked on or before September 21st to be accepted. If we are sold out before we receive your payment, an email will be sent to you and your check returned. *Any boxes remaining out at the sites at 9:30am on Thursday will be removed. 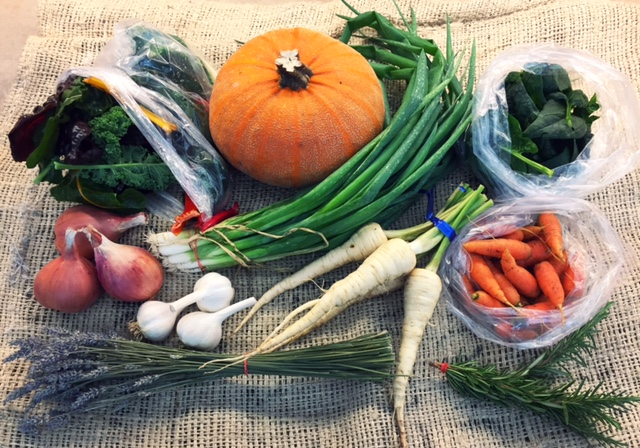 If you are not able to pick-up your box while you are out of town, please let us know ahead of time so that we can keep the produce from going to waste! Q: I need financial assistance, are there any options for me? 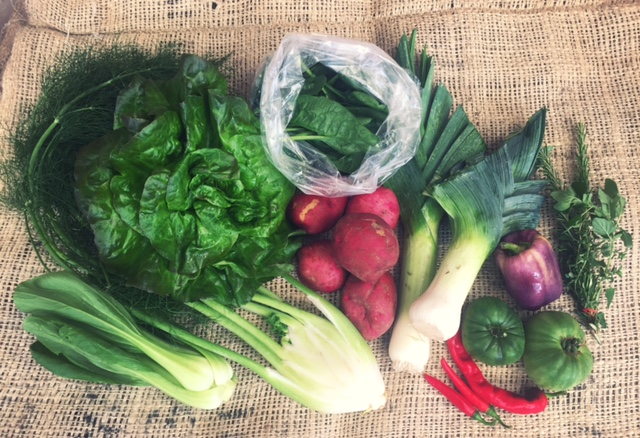 A: Please contact us at theuwfarm@gmail.com about need-based discounts. You may also pay in installments, but full payment for the whole season is due by the first pick-up on June 13th. Q: What happens If I go on vacation or miss a pick-up? A: Due to health and safety regulations, any produce remaining at the sites at 7:30am Thursday will need to be composted. 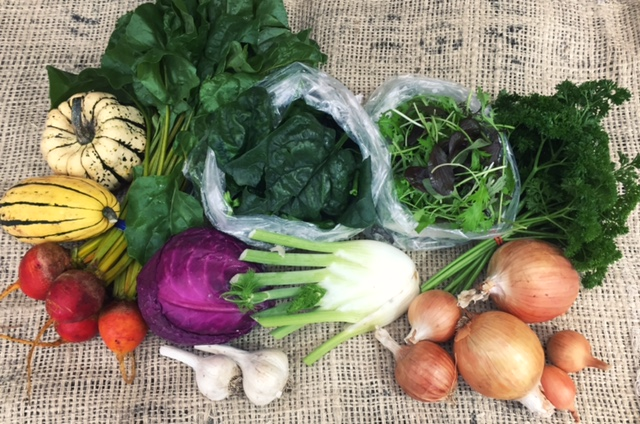 If you are not able to pick-up your box while you are out of town, have a friend pick it up or let us know ahead of time so we can keep the produce from going to waste. 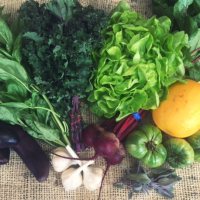 We have many students who would gladly eat this delicious produce rather than seeing it get tossed! Q: What would be an example of a typical box? A: Take a look at these box photos from our 2017 season! Open: Everyday dawn to dusk, free of charge.